Going into today’s Spring Forward event, the thing everyone was most interested in was the Apple Watch. Finally, we know its function and the incredible price. 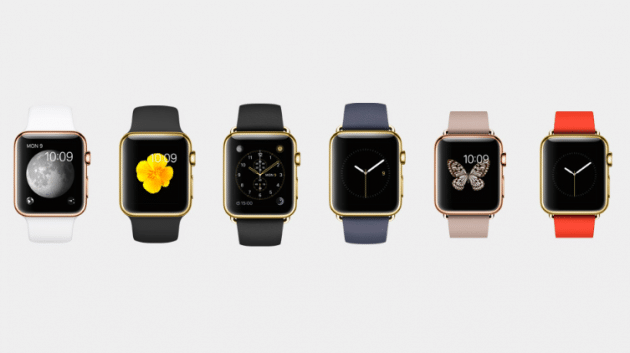 Apple claims its Watch will get 18 hours of battery life every day. If true, that is more than enough to get through the day. From a functional perspective, the Apple Watch is pioneering some new forms of interactivity, including “glances.” Swipe up for heart rate, time, date, calendar events, temperature. Pressing the side crown brings up Siri, while double-pressing it brings up Apple Pay. 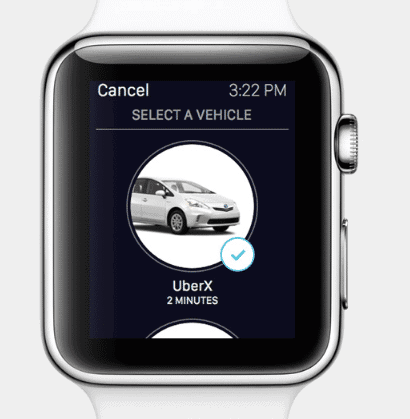 Simple taps can answer phone calls and operate other apps like Uber and Passbook. It also sticks to some tried-and-true functions like notification mirroring. There are multiple customizable watch faces, including one for Mickey Mouse because nothing says luxury like a cartoon mouse. Apple also talked up something called Digital Touch, or animated picture messages. However you draw a picture message on your watch, that’s how it’ll be animated on a friend’s watch after sending. Health-conscious features are built in, such as a reminder that you’ve been sitting too long. 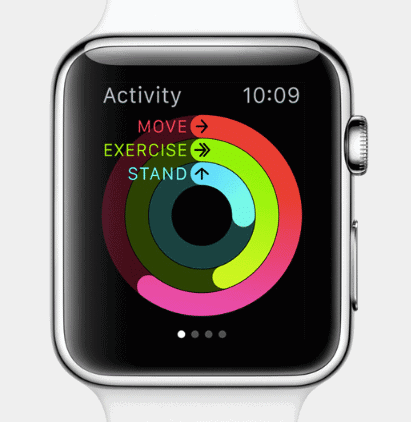 At the end of the week, the watch gives you a report on your health. 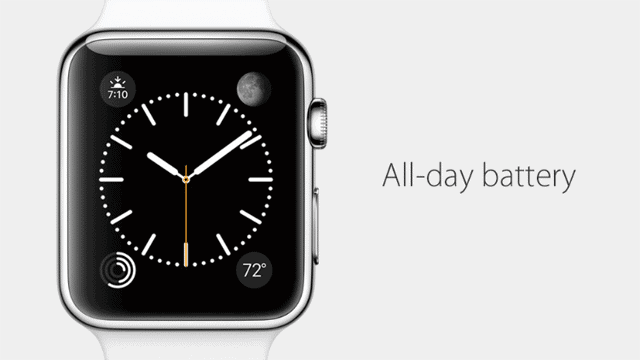 The Watch interacts with iPhones using the Watch app, available with iOS 8.2, which releases today. The Apple Watch comes in regular mode, Sport, and the oddly named Apple Watch Edition. The Sport has cases of anodized aluminum in silver and space gray. It will run $349 for the 38mm version and $399 for the 42mm one. The Regular Edition of the Apple Watch is made of stainless steel and costs $549 – $1,049 for the 38mm version and $599 – $1099 for the 42mm one, depending on the band. The Apple Watch Edition will be made in limited quantities and available only at select retail stores starting at $10,000 on April 24. I’ll be very curious to see how the general public reacts to the Apple Watch. I don’t see the appeal, personally, in spending hundreds (or thousands!) of dollars on something with less functionality than a phone. But then I poo-poohed the iPad and Nintendo Wii, so maybe there’s a level of appeal here I’m not seeing. The eye-poppingly high price of the Apple Watch Edition was not entirely unexpected. Though astronomical by tech standards, luxury watches are a whole different world when it comes to price. Although the high-end watches like these are generally passed down as heirlooms, but an Apple watch might get outdated by fast-moving technology in a matter of few years. $10,000 is nothing to people who buy nice watches. Apple will sell a shocking number of these things to rich people and China’s rising upper class. Just wait. The biggest question is whether the general consumer will take to the Apple Watch like they did to the iPad and iPhone. For that, we’ll have to wait until April.